The blurb promises a tumultuous relationship (and hints at heartache), and oh boy do we get it. Her torment, and some of the OH NO HE DIDN’T!!! moments, wrung me out!!! The author did a great job bringing the emotional strife to life. I felt the sheer loneliness that the heroine was going through. Her despondency as her long-term boyfriend was pulling away from her over the course of weeks, and months. Her desperation as she tries to pull him out of his sullenness, his disregard and inattention to their couple (and to their son), so that they could be who they USED to be when they were once so in love. 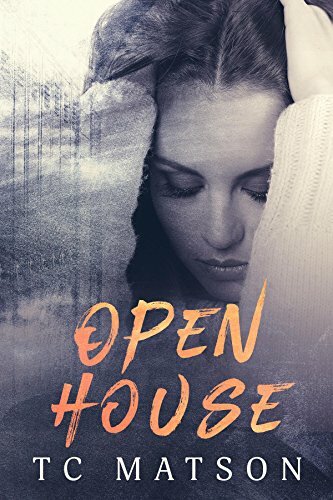 Maryse: I have a new review coming up tonight for Open House (tumultuous long-term relationship, and OMG HE TOTALLY had me fuming and thinking OH NO HE DIDN’T!!!!!) You’ll see. Cristina: Maryse, I can’t wait for your review on Open House! I sat down and read it today (just finished) and I agree that there is a lot of realistic emotion, and might I add, circumstances. I literally felt like TC Matson took a few chapters from my earlier married life and put them into print. And yes, I literally had that “Oh no he didn’t!”moment (or a few)! She was trying anything. Everything. Putting forth extra effort at being his perfect housewife, to trying to talk it out peacefully, and letting him know her concerns and showing him her sadness, to outwardly being furious with him and letting him have it, but she felt as if she couldn’t get through to him, no matter what she did. I’ve always heard there’s a difference between being alone and being lonely, but I never truly understood it until recently. I’m lonely. Miserably lonely. Even with Brian in the same room, there isn’t a connection. There isn’t a spark. Our friendship is lost at sea—our intimacy somewhere in a blurred line. It was all subtle in the beginning. I could feel everything slipping away—the “us” I knew—but I held on tight, hoping and praying it would pass. It didn’t. And feared that they had reached the end of their rope. Is this what the end of my days will look like? Distant husband ignoring me while I read on my e-reader? Brian and Riley have been together for years (since they were in high school), now raising their son together. Unmarried (at least, legally) but committed. I knew I wanted to marry him. This was when he shared that he didn’t believe in marriage. My heart broke a little. He must’ve seen the confusion and hurt in my eyes because he wrapped his pinky around mine and stated his version of vows. There wasn’t a ring. No paperwork to prove it. No excited friends or family. Nothing. But he was my husband and I was his wife. Riley is a stay-at-home mom, while Brian has been climbing the corporate ladder for his father’s company, setting their tiny family up in a home and a stable and loving life. With a back and forth look into their lives, we’re privy to how they started, how crazy they were about each other, and how in love they continued to be throughout the years, and against all odds. Many glorious memories have been made here. And here is where I’ve watched the Brian I fell in love with change. That is, until now… and over the last few months, where Brian is increasingly inattentive and distant, spending longer hours at work, and not taking the time to communicate with Riley, nor is he making time for his son’s school events anymore. I give the best smile I can conjure up. I’ve heard the same line for years now. Early never comes. Neither does us spending time together. Frustrated, she feels more and more like a single parent to her son, and overall, inconsequential and unappreciated in her life. “What was that?” April whispers. “What was what?” I answer playing dumb without looking at her. I can’t. I know heat has traveled to my cheeks, and I may or may not have drool on my lip. Just platonic, but it’s not long before he makes her feel like so much more, again. Doing her best to keep her distance, despite mutually feeling that spark, and suddenly feeling desired (albeit, by the wrong man). Riley can’t help her feelings, yet… her devotion to her family keeps her rooted. But being rooted doesn’t mean a strong wind won’t completely topple you over. “You’ve always been the glue that holds us together,” he says with a shaky voice. “It’s easy when you have two things that can be glued together,” I gasp between tears. And that’s where the real story comes to fruition, however I won’t say anymore about that. That whole part of the story was so realistic, so well written, that I was living it with her. I experienced her despair and confusion (and suspicions). The unfairness in doing everything to hold it all together, while the other half appears to have already checked out. I will say it did keep me guessing for a good part as to where this would go (if there would be growth and becoming a stronger couple for weathering the storm), or if this was a case of “too serious, too young” and that personal changes had this couple drifting too far apart to find each other again. Overall, I enjoyed the story as a whole (especially the first half, because of the clever way the author has us feeling who they once were, and who they are now) I became emotionally invested in them, and I was dying to know what was going on, and desperate for happiness and relief. However once the potential “love triangle” ball got rolling (I’m not saying whether it happens or not because that’s a whole part of Riley’s personal and emotional growth), I will say that I greatly struggled with both male characters. Manipulative and incredibly selfish in their own ways. The other, had a very narcissistic quality to him. And I mean, the personality disorder type. Pushy, arrogant, trouble making, intense and impatient and incredibly hurtful in his own way. If I were Riley, I wouldn’t have felt safe and loved with either of them, and to be honest, I wasn’t on team ANYONE but team Riley. Also some plausibilty/character development issues. From her best girlfriend, to her son’s new teacher saying some catty things in public that could certainly cause trouble and hurt, to a few unrealistic “home/living” details that seemed highly improbable, yet placed in the story to further it along, just left me doubting (although these were more minor issues to me). I dunno. As realistic and tangible as the first half was (I really got a feel for the characters, past and present), the second half of the story lost that special touch, to me. The small details, and pacing are important, yet in this one, “stuff” just seem to just come out of left field (good stuff and bad stuff). It just felt… rushed. Still, for those that enjoy reading about realistic marital strife and/or long term relationship struggles, and personal growth, I think many would enjoy this one, and many will even relate. You had me with 4 little words . . . “Oh no he didn’t.” I think this is just what I’ve been looking for!